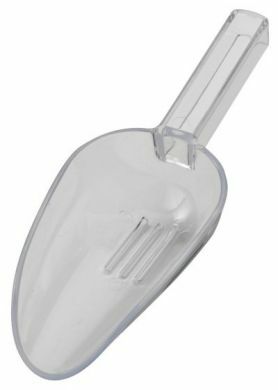 To save yourself filling the glass with water instead of ice before you've even poured your drink, the plastic drainer ice scoop comes in very useful. 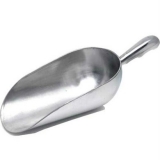 This scoop features large drainage holes to allow water to drain away when serving ice cubes. Ideal for use with ice buckets and ice makers. Helps water drain away when scooping ice.